Every year the Oscars pays tribute to the many talents of those involved with animated movies, with the winner of the category almost always going on to become a widely accepted classic of the genre. In 2018, three of the most popular animated films of the year battle it out, allowing us to see three of the biggest animation production companies, Disney Pixar, DreamWorks and Blue Sky Studios go head to head, as well as contending with two critically acclaimed works of animation that are not as widely known, but could give the big studios a run for their money. Which films are in this year’s Oscars animation race, and what is it that makes them special? We’ve got all the information you need in this: the animation race 2018. Coco is the latest release from Disney Pixar, and kicks off what looks to be a huge year for the world famous animation studio. 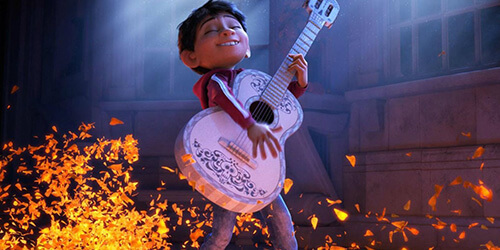 Coco is the story of a young aspiring musician, Miguel, who struggles to live under the rule his family has set, banning all music. Miguel enters the land of the dead in search for his great, great Grandfather who he believes to be legendary singer Ernesto de la Cruz. As you would come to expect from a Pixar film, the visuals are stunning and the colours are something to behold. Coco is full of fun and music, and the characters and settings are so vibrant that it is hard to tear your eyes away from the screen. The story itself is also beautiful and touching, full of twists and turns. Coco is a spectacle to watch and a fantastic tribute to Mexican culture from the biggest animators in town. From executive producer Angelina Jolie and the creative minds that brought us previous Oscar nominees Secret of Kells and Song of the Sea comes this beautiful animation based on the novel by Deborah Ellis. The Breadwinner is the story of Parvana, an 11 year old girl growing up in Taliban-ruled Afghanistan in 2001. After her father is wrongfully arrested, Parvana disguises herself as a boy in order to provide for her family. The Breadwinner focuses on some serious issues, so this is not to be considered in the same family friendly category as a Disney movie. The animation however is unique and impressive, and the story is inspiring, hopeful and enlightening. Although it is up against some tough competition, The Breadwinner certainly deserves its place amongst this year’s Oscar nominees and all the press that will come with it. From Blue Sky Studios, the animators behind the likes of Ice Age and Rio, comes 2018 Oscar nominee Ferdinand. Set in Spain, it is the story of the title character Ferdinand, voiced by WWE Superstar turned actor John Cena, a large bull who after being mistaken for a dangerous beast is captured and removed from his family. After gathering a band of misfit characters, the rest of the story follows them on their adventure home. As well as being a fun and entertaining family film, there is also a subtle underlying commentary about bullfighting as a sport, with the overall story being inspirational and heartwarming. Undeniably a great film for the family, can Ferdinand compete against the stunning visuals of some of the other nominees? It seems unlikely. Loving Vincent is the most unique nominee in the Best Animated Film category this year. The narrative of the piece follows a young man who travels to the last hometown of the infamous artist Vincent van Gogh, to deliver the final letter written by the artist before his death, only to become fascinated by the psyche and fate of the artist along the way. The film is an oil painted animation, mimicking the style of Van Gogh himself. 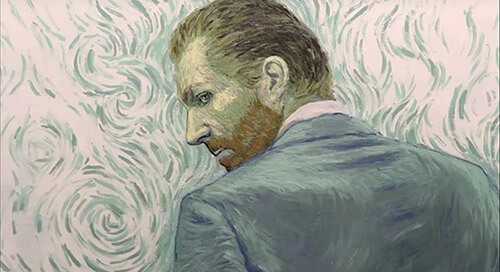 This style makes Loving Vincent stand out from the pack; it is the first animated feature to be designed this way and packs one heck of a punch. Through this poignant and beautiful story, the work Vincent Van Gogh himself seems to come alive on the screen like never before, earning its place amongst the greatest in animation for 2017/18. Boss Baby was one of two releases from famed animation studio DreamWorks Animation in 2017. The plot seems crazy to describe, as Tim – a 7 year old boy – is suddenly faced with the fact that he has to share the attention of his parents with his new baby brother, Boss Baby, who wears a black suit and carries a briefcase. Boss Baby takes over the house, but soon enough the brothers find that they have to team up to take on the head of Puppy Co. The concept sounds ridiculous, but Boss Baby is superbly voiced by Alec Baldwin who essentially reprises his roll from ’30 Rock’ in baby form, which leaves us with a hilarious result. 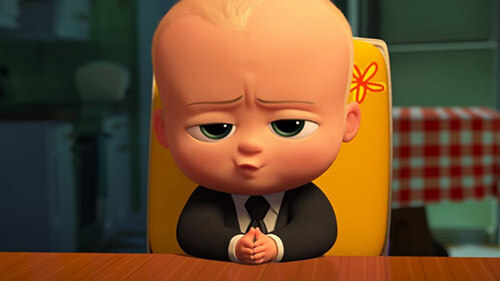 Boss Baby is a great family comedy and it is certainly a unique story, however much like Ferdinand I am not sure the overall style of the animation has what it takes to to take home the gold this year. And there you have it, the very best of animated feature film in 2017 as voted on by the Academy of Motion Picture Arts & Sciences. Which film do you think will win? Did any great animations get left off the list? Let us know in the comments below!